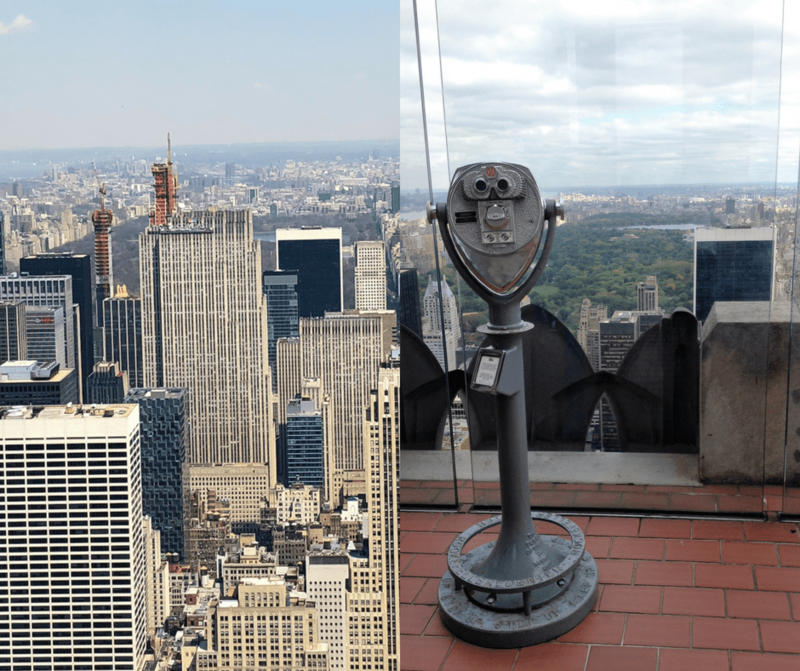 In this weeks bonus article I’ve decided to compare our recent topics: Empire State Building vs Top of the Rock. Which one is better? Which one has the best views? Which one costs more? I’ll tell you why and then I’ll discuss the differences below so you can choose for yourself. You can actually see the Empire State Building. What’s more New York than the Empire State Building?? they are…no doubt…I would still say Top of the Rock is better. Which has the Best Views?? You can see the top of it below but not much. The view of lower Manhattan from the Empire State Building is spectacular! You can see the Flat Iron building in this shot as well!! They’re basically the same price. Each location has different add-ons you can get for an additional cost. Top of the Rock hands down! It took us a good 45 min to get to the open-air deck of the Empire State Building and we had the NYC Explore Pass so we could bypass the ticket line. To get to Top of the Rock it took approximately 20 mins and we had to have our passes scanned and paper tickets issued. Much quicker. If I only had one day in New York City and had to choose between Empire State Building or Top of the Rock I would choose Top of the Rock…specifically at sunset. Which one did you, or would you, choose?!? Be sure to check out my 5 Things You Must Do in New York City if you’re headed to the Big Apple! To Receive Next Weeks Article – Central Park Favorites: Things to See & Do Subscribe Below!